Just when you think you've saved the world! "You will kill her?" the Torment asked. Skulduggery sagged. "Yes." He hesitated, then took his gun from his jacket. "I'm sorry, Valkyrie," he said softly. "Don't talk to me," Valkyrie said. "Just do what you have to do." Valkyrie parted her tunic, and Skulduggery pointed the gun at the vest beneath. 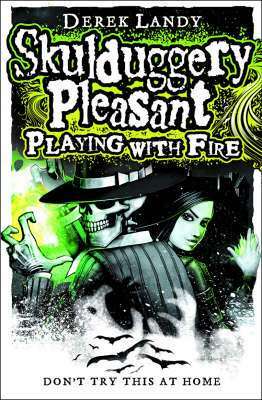 "Please forgive me," Skulduggery said, then aimed the gun at the girl and pulled the trigger. With Serpine dead, the world is safe once more. At least, that's what Valkyrie and Skulduggery think, until the notorious Baron Vengeous makes a bloody escape from prison, and dead bodies and vampires start showing up all over Ireland. With Baron Vengeous after the deadly armour of Lord Vile, and pretty much everyone out to kill Valkyrie, the daring detective duo face their biggest challenge yet. But what if the greatest threat to Valkyrie is just a little closer to home! ?